Rhea Perlman, Leonor Varela, David Arquette et al. "An Elephant's Journey" is a fun-filled and moving family adventure about a circus elephant and the importance of family and friendship. 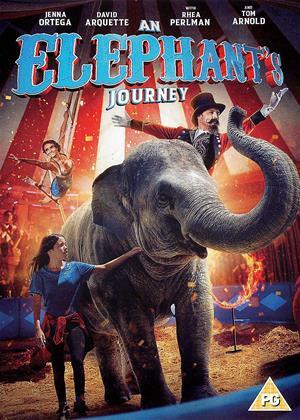 Starring Disney Channel favourite Jenna Ortega and Hollywood's David Arquette and Tom Arnold, fans of Dumbo will love this film. Flora is a circus elephant who can no longer perform her tricks. Left out and alone, the circus owner's 14-year old daughter, Dawn, sneaks Flora from the circus after she finds the perfect place for retirement: an elephant sanctuary 480 km away. All that stands between them and the safety of the elephant preserve is hundreds of kilometres of woods, one raging river, two elephant hunters and the fear of not making it.